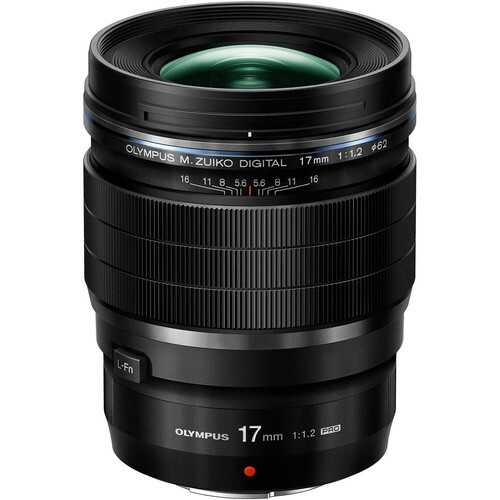 The M.Zuiko Digital ED 17mm f/1.2 PRO from Olympus is a versatile wide-angle, 34mm-equivalent prime for Micro Four Thirds mirrorless cameras. The most attrative feature is its fast f/1.2 maximum aperture, which suits working in low light conditions and offers the user a greater control over depth of field. A complex 15 elements, 11 groups construction combines extra-low dispersion, aspherical, and high refractive index elements to significantly reduce both chromatic and spherical aberrations for notable image clarity, sharpness, and color accuracy. A nine-blade aperture is featured as well, to achieve a smooth bokeh quality. A Z Coating Nano has been applied to individual elements to limit flare and ghosting for improved contrast.